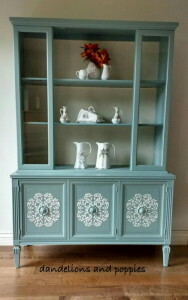 Julie McDowell from the Furniture Painting University has a way of really adding a Wow factor to the furniture make overs she does. 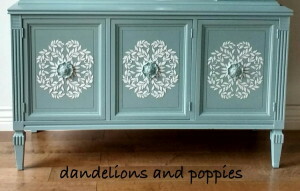 Whether it’s decoupage, paint or faux finishes or stenciling, she creates furniture pieces that are unique and beautiful. 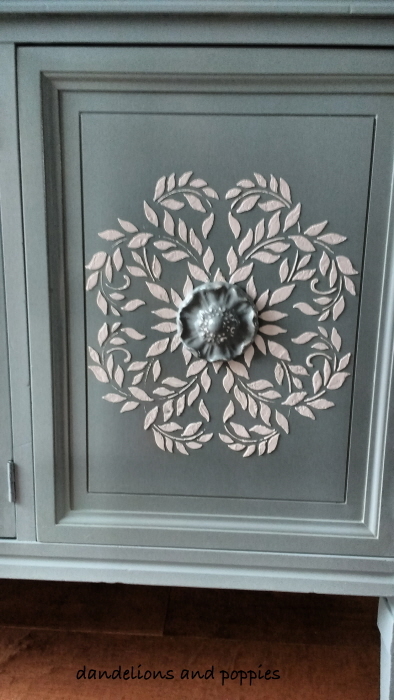 Here, she used our Raised Plaster Vine Medallion and Mold Stencil set to add beautiful medallions to the front of this chest. 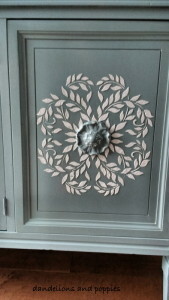 The stencil set includes the medallion stencil and a round plaster mold to create the inner medallion you see attached in the center. With the stenciled medallion done in white and the plaster medallion painted the same color she painted the chest, the look is so elegant! Would you like to learn how to make over pieces like this? Join the FurniturePaintingUniversity.com where for a very small monthly fee, you will open up a world of professional techniques, ideas, inspiration and even articles on selling your creations! If you’ve ever thought of creating a side-line business of painted furniture, this is the place to start your new business!